Roberto Martinez and Manuel Pellegrini share a joke. Manchester City's injured captain Vincent Kompany will return to the team ahead of schedule, but will miss Wednesday's Capital One Cup semi-final second leg at home to Everton, live on Sky Sports. Kompany's return from a persistent calf injury in two weeks instead of six will come as a relief to a team who seem to struggle defensively in his absence. "I don't think Vincent will be out for six weeks - he will return in a couple of weeks," Manchester City head coach Manuel Pellegrini told reporters. "We are doing all we can to review Vincent in different places with different doctors. I hope that now when he comes back, he will be fit until the end of the season." Everton go into the semi-final with a 2-1 advantage from the first leg, but Pellegrini is confident his side have what it takes to secure the 1-0 home win that is the minimum needed to see them through to Wembley. "It's the third time we'll play Everton in one month - we know their team," he said. "The most important thing is to try to play another final at Wembley. That is our target. After we lost to Everton 2-1, I said that if we don't qualify for the final, it's not because of that game but because we can't win at home at least 1-0. "Maybe Everton haven't been in a final for many years and they will be motivated but our team will do all they can to get there too," Pellegrini added. Phil Jagielka is to return to the starting line-up for Everton, and manager Roberto Martinez expects Jagielka's presence to make a difference. "It would be daft to say that you don't miss a player like Phil Jagielka," he added. "His influence is always there. Phil is a real influence in the dressing room and it is important he is fully refreshed." Willy Caballero will take over in goal for Manchester City. Caballero has been preferred to England number one Joe Hart in all domestic knockout games this season. City remain without captain Kompany (calf), centre-back Eliaquim Mangala (hamstring), left-back Aleksandar Kolarov (calf), striker Wilfried Bony (calf) and playmaker Samir Nasri (hamstring). Everton captain Jagielka returns having been rested at the weekend. 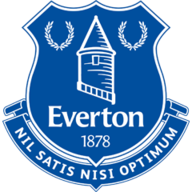 Midfielder Muhamed Besic (hamstring) and forward Kevin Mirallas (tendon) have been ruled out, while Joel Robles will replace Tim Howard in goal. Right-back Seamus Coleman is set to start, having returned from injury as a substitute at the weekend, while a late decision will be made on whether midfielder James McCarthy makes his long-awaited comeback from a groin problem. This is only the second time in five semi-final League Cup appearances in which Everton held a lead going into the second leg. They beat Aston Villa in the first leg in 1984, progressing to the final. The Citizens have never lost at home in a cup competition to Everton (W3 D1), though they last hosted the Toffees in the FA Cup in March 1981. Romelu Lukaku has netted four goals in five League Cup appearances this season. In the first leg, Jesus Navas scored his first goal for City since September 2014 (v Sheffield Wednesday), a wait of 66 games in all competitions for the club. Everton have won three successive away games in the League Cup this season, after losing each of their previous three. However, the Toffees have lost five of their last six away games in this competition to sides from the Premier League, the exception being a 4-0 win at Hull City in 2009. City have won five of their last six home games in the League Cup, losing the other 2-0 to Newcastle. In those games, they have scored 27 times (4.5 per game). City have only failed to score in one of their last 26 competitive home matches in the last year (since January 25, 2015) - this came in a goalless draw with Everton in the Premier League on January 13. City have only once overturned a semi-final first-leg deficit to reach the final. They beat Middlesbrough 4-0 in 1976, after losing the first leg 1-0. City went on to lift the trophy. An all-Merseyside final would obviously be great but, just like their neighbours, there's too many defensive problems with this Everton team. They are exciting to watch, but they're just so vulnerable at the back. Everyone is talking up John Stones and he is a great footballer, but he's also susceptible to mistakes. Those issues and Sergio Aguero being back in form leads me to believe City will be able to break them down enough times to overturn this deficit. I do think City to win and both teams to score is a stonking bet at 13/8, given both have problems at the back, with Manuel Pellegrini's men possessing more firepower. Holders Manchester City are 8/11 with Sky Bet to qualify for the Capital One Cup final, with Everton even-money shots to book a place at Wembley. City trail 2-1 after the first leg but are odds-on to win at home, with the Toffees 9/2 and the draw after 90 minutes trading at 7/2. The sides recently played out a goalless draw in the Premier League at the Etihad, but it's 18/1 for another blank on Wednesday night. Sergio Aguero is 11/4 favourite to net the opening goal for City with Romelu Lukaku a 7/1 shot. Both men to net in 90 minutes is 9/2. 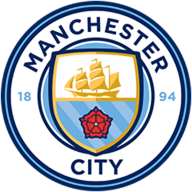 Our Sky Sports pundits Jamie Redknapp, Charlie Nicholas, Phil Thompson and Matt Le Tissier are unanimous in their support of City. Check out their tips here.